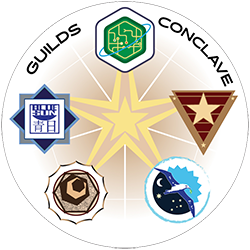 Industry requires dispersion to survive, and thus it is that the Pilots of the ‘Verse are the lifeblood of the network of shipping lanes and travel routes that connect all the planets and moons together. 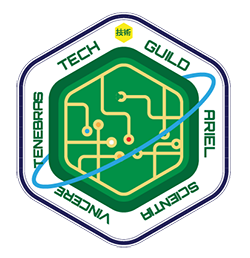 A high ranking Guild Pilot is much sought after and fought over by a smart Captain, because their knowledge of navigation tricks and hazards often makes the difference between survival and perishing. 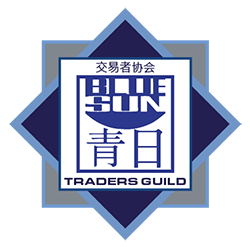 One of the most public of Guilds, Pilots are highly trained and the ranked roster is published annually. Motto: Per Caelum Via Nostra – Our Way is the Heavens – the motto is taken from a historical Guild back on Earth-That-Was. Symbolism: While the outer circle evokes clouds within an atmospheric shell, the inner is split into the brightness of daylight and the inky depths of space, which contains the stars, suns and moons of the ‘Verse. Another callback to sea-ship navigators on Earth-That-Was, the albatross was a sea bird that was thought to be a harbinger of good luck. The leaf she carries represents the planets upon which the pilots depend. Location: Beaumonde – Kalidasa. The heavily industrialized planet of Beaumonde was the manufacturing hub of the system. As such, a highly regimented structure was created to move these goods to other worlds, and a central necessity of this structure were the extensively trained Pilots. 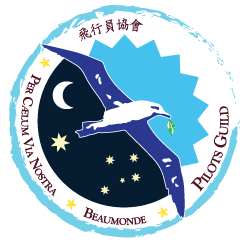 Order the Pilots Guild Patch today and get your wings! 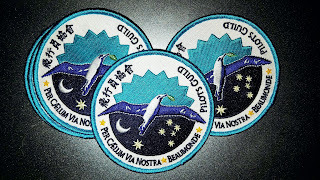 This patch will be 3.5 in diameter with a round white merrowed border.